This Brand NEW HDBaseT extender set will transmit the highest quality 4K HDR with ARC signal 70mtrs via a CAT5e or CAT6 cable. The HDE4K70ARC is compatible with all your 4K HDR source like Bluray 4k, Apple TV, Vodafone TV, PS4 and the Xbox S. If you have a 4K TV and want the best picture then look no further this is the product you have been looking for. 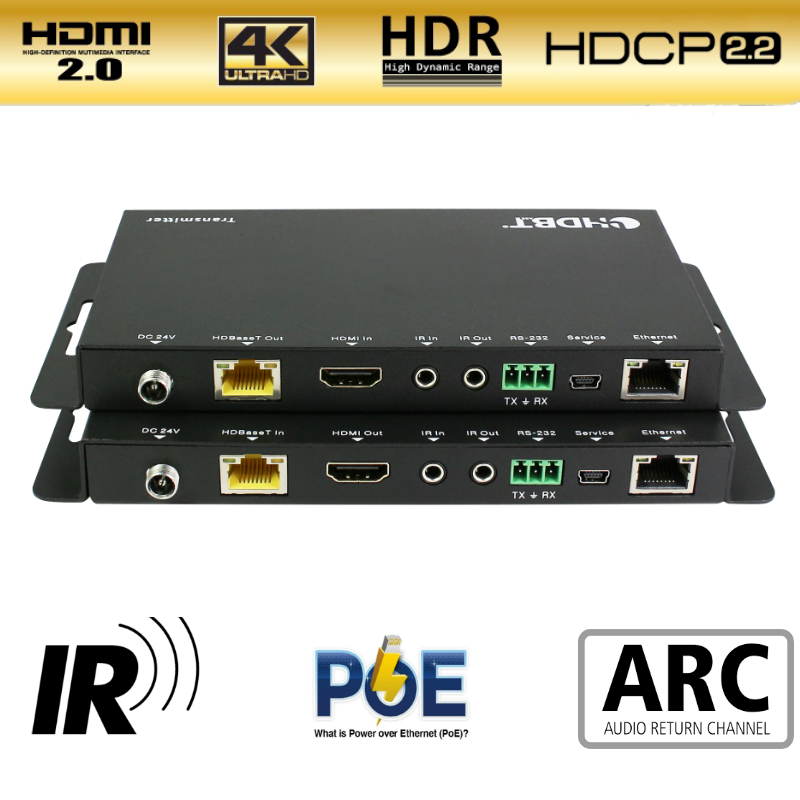 With HDR support and HDCP 2.2 compliant it just plug and play. The HDE4KHDBT offers POC or power over cable so you only need one power supply to power both units. The unit also has ARC (audio return channel) to return the audio from an ARC enabled display to a receiver. ARC is useful if you are watching built in streaming services like Netflix on the display and want to listen to the content on your sound system. 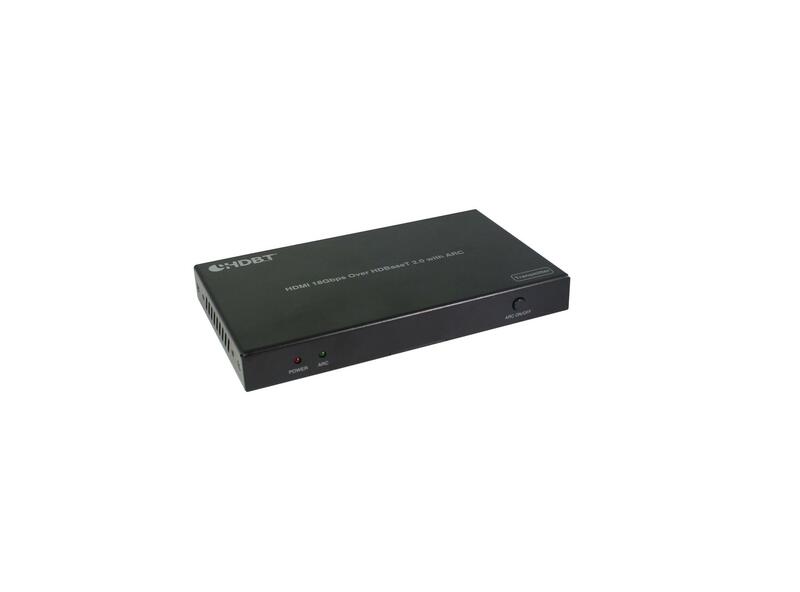 Fully compliant with HDMI 1.4, and compatible with HDMI 2.0 (4K2K@60Hz with RGB 4:4:4 ). 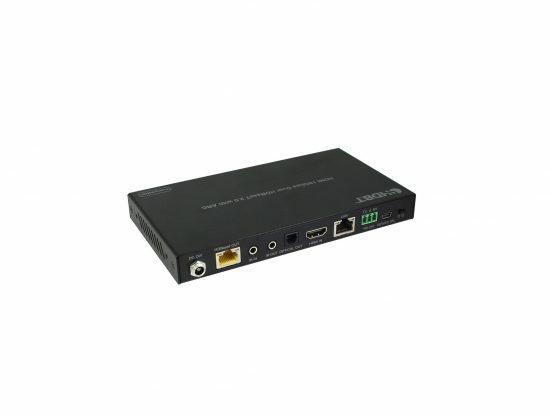 Supports HDBaseT 2.0 specification over a single CAT5e/6/7 cable up to 100m/328ft. Supports pass-through of HD audio formats: LPCM2/5.1/7.1 CH, Dolby Digital, DTS, Dolby TrueHD, DTS-HD Master Audio and more. PoC(Power Over Cable)function support, either TX or RX powered 24V@1A,another don?t need power form the DC jack. 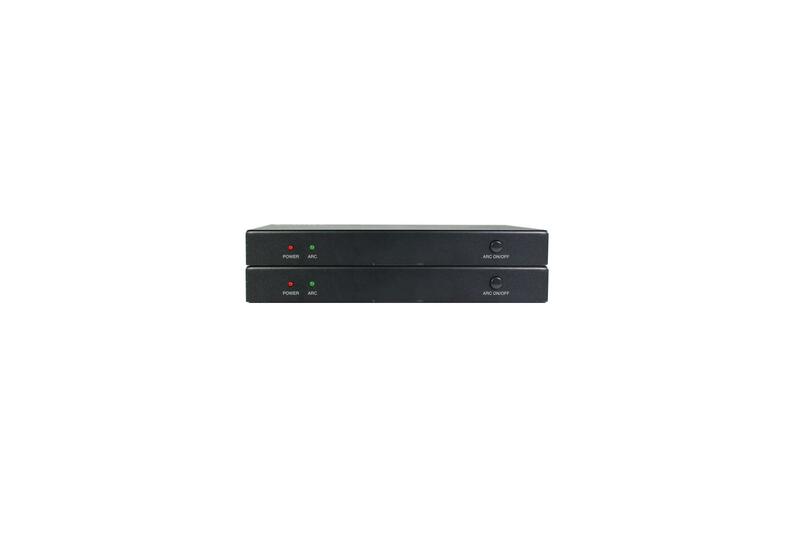 Transfer Bidirectional RS232 control signal together with the HDMI signal. 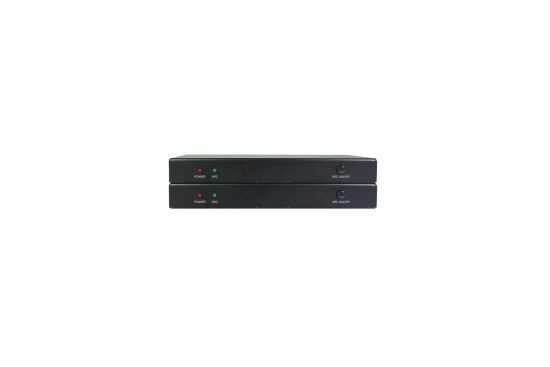 Transfer Bidirectional Ethernet signal together with the HDMI signal.